Tim McLaughlin was born in North Dakota and graduated with a Bachelor of Arts degree from the University of Minnesota. Tim moved to Knoxville, Tennessee in 1989 and graduated from the University of Tennessee Law School in 1992. Tim immediately began working for the Knox County Public Defender's Office where he gained extensive trial experience. Shortly thereafter, Tim chose to work with the Law Offices of Peter G. Angelos, a nationally recognized plaintiff's law firm at the Knoxville, Tennessee branch office. In 2003, Tim and Mike Nassios established the law firm of Nassios & McLaughlin. Mr. McLaughlin's practice involves representing people in personal injury, worker's compensation, medical malpractice and criminal law matters. Tim is married to his wife Cindy and they have two children. 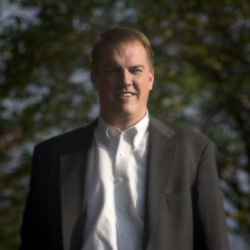 Tim McLaughlin is a member of the Association of Trial Lawyers of America and the Tennessee Trial Lawyers Association.